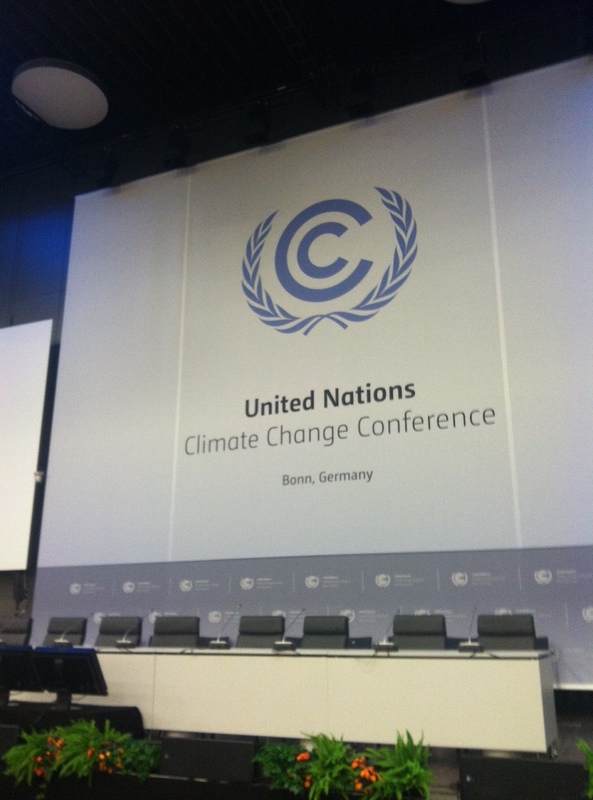 From Washington DC to Bonn, Germany: Student Chris Ververis Interns with the UNFCCC! From July through D ecember 2015, I’m interning in Bonn, Germany with the United Nations Framework Convention on Climate Change (UNFCCC) leading up to the new international climate change agreement expected to take place this year at COP21 in Paris. In this internship, I work within the UNFCCC’s executive office in the Implementation Strategy Unit (ISU) which provides strategic support to the climate change secretariat for its overall organizational strategy. This year, ISU is focused primarily on the negotiations leading up to the climate summit in December and the new international agreement that is expected to be reached. It’s been an amazing internship so far. In my first two months, I supported ISU’s “drafting and advisory team” to revise the draft negotiating text which was used in the week-long negotiation session that was held in September. This experience has given me first-hand exposure to the secretariat’s strategy for facilitating the negotiations and plans for further discussions over the next four months leading up to the final weeks of negotiations in December. In preparation for the next negotiating session in October, I will be supporting ISU to further develop a revised negotiating text based on the secretariat’s understanding of political balance across all the outstanding issues and the views expressed by Parties in the last negotiating session.